I’d long wanted to acquire a Dremel rotary tool to manage some tasks as a mosaicist. At some point, Amazon India’s discount sale brought the tool’s price down by a couple of thousand rupees, making it seem like an opportune time to buy it. If anyone else is considering its purchase, the information below may help one reach a decision. My enquiries in international mosaic groups had highlighted Dremel 4000 as the most apt model for my purpose as it had the power to allow long duration use as also enable varied cutting tasks. 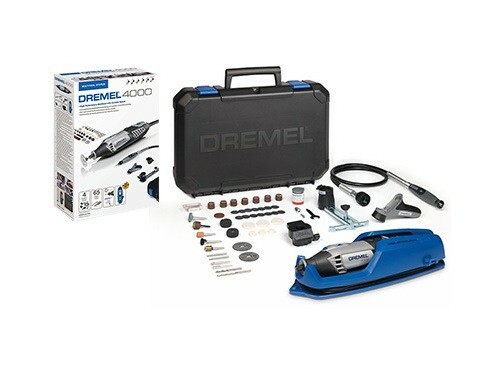 The price of Dremel 3000 was always more attractive but I tried my best to not succumb to the temptation to buy it. Too many people had mentioned that the model 3000 had blown up on overuse. 4000 is the Model number; 4 denotes the number of attachments that come with the tool; 65 is indicative of the small accessories bundled in. Upon checking on Amazon India now, I see that this model is no longer available. It’s possible that Amazon managed to sell its complete stock at that sale. One of the reviewers on Amazon had written that the e-commerce site is discarding its old stock through discount sales so I’m now waiting to see how long mine lasts. I do know from many users in the west that the model 4000 is what they’ve found to be working well. My identified requirements from the Dremel tool were to : cut shapes out of acrylic sheets and mdf board; cut crockery; grind tile edges when absolutely necessary, etch ceramic tiles, buff mosaic jewellery, engrave wood etc. To avoid having to change the collet repeatedly for different bits and mandrels, I decided to buy this multi chuck as it’s believed to work with all the accessories. Its idea is totally welcome but upon using it I found the accessory bit 561 getting dislodged on pressing into the hard surface of an acrylic sheet. I need to use it more often to determine its efficacy but I believe that its price of Rs599.00 makes it a worthwhile item in the kit. 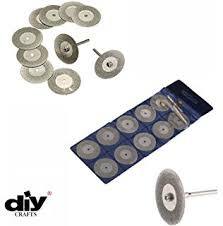 Diamond blades are essential for cutting ceramic or china crockery with Dremel. Instead of buying Dremel’s expensive original diamond blade priced at Rs3500/piece, I decided to give this set of 10 blades a chance. The set came at Rs660.00, and till now, I’ve used one out of them to cut 4 shapes out of a 4 mm acrylic sheet. I found the blade to be more effective than any other bit in my original kit. I’m sure they will come in handy for varied materials in the future. I’m just curious to see the longevity of each blade as they say that low priced blades lose their diamond surface rather rapidly. At the price they have come though, one can experiment with them without too much thought. I’ve wanted to cut mdf and acrylic shapes for a long time. 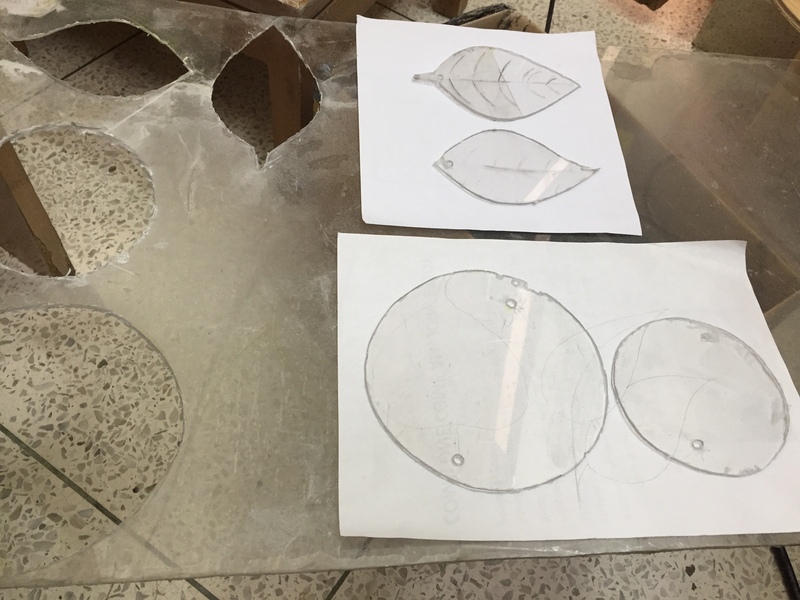 I believe that a Jigsaw or 3-ring saw are most appropriate for cutting mdf shapes but since I’ve wanted to use the Dremel tool for many things that it can possibly do, I decided to cut acrylic shapes with it. After testing the cutting bit 561 and SpeedClick SC456 that came in the kit, I found Tool Center’s diamond blades more effective for cutting the hard 4 mm acrylic sheets. It was tough to handle acrylic sheets as their cutting not only created a lot of acrylic powder in the air, the diamond blade led to slightly burnt acrylic edges. For those attempting this must wear a nose mask and protective glasses. Wearing anti-glass cut gloves may also help as sometimes tiny pieces of warm acrylic fly onto the hand holding the sheet. The acrylic shapes had residual plastic stuck to their edges that also went away when rubbed against the surface of the diamond blade. While I’d be cutting more acrylic, I’m not sure that I’d cut them in large numbers. The process is time-consuming and emits a lot of acrylic powder. Two of the shapes, however, have served as substrates for a small sun-catcher for my yard. There is lots that isn’t in favour of buying this tool in India. 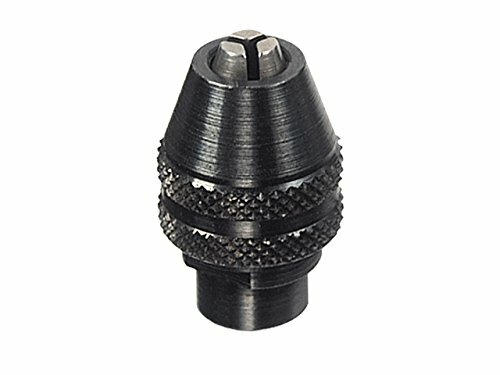 It is pricey; Bosch Limited doesn’t do much to want to sell it (my calls and emails to them didn’t get me any response); Dremel tool’s original accessories are not only expensive, many times they aren’t even available online; Dremel-India’s website isn’t as informative as Dremel.com; Amazon India has far less product data available against the item/accessories than say Amazon US; its videos on Youtube or the company site are mere promos and not educative… And yet, hobbyists or artists in India have been buying the tool because of its perceived potential. Many glass artists I’ve connected with tell me that they bought it thinking that it’d help with many tasks but their prime use of it is to drill holes in glass, an essential need to create many stained glass objects. 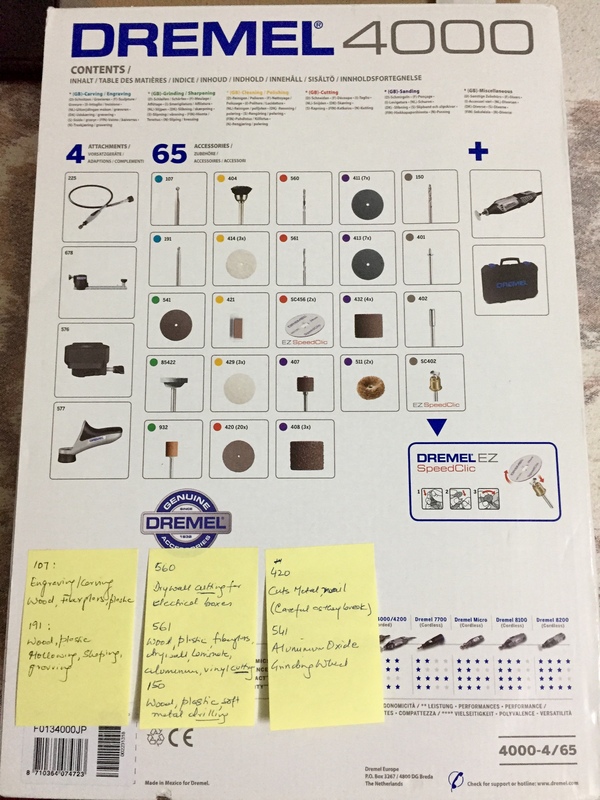 I wish Dremel.com was doing much more to facilitate the tool’s handling and help learn the use of its accessories through better videos and live workshops. I believe I’ve watched every single video that’s available on it on Youtube but I still wasn’t entirely sure of the blade that would cut acrylic sheets easily. The Dremel India website doesn’t even allow search for accessories by their model number. One has to use Google to find that accessory’s page on the company website. I found these sites to carry some useful views and advise that may help others too. Do you use a Dremel tool? Do share your experience on its use and how it’s made your work easier.